Arc Imperial Valley Car Wash has been operating since 1988. Program participants are vocationally trained to acquire required skills for different work areas. 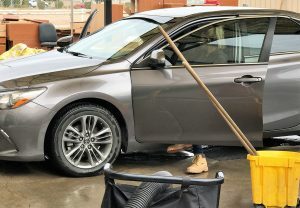 Our car wash offers a full service including outside and inside for only $7 for most cars, please ask for prices for larger vehicles. Our Car Wash is located at 298 E. Ross Avenue. The facility is open Monday through Friday 7 a.m. to 3:30 p.m. and closed on holidays, Saturdays and Sunday.